Sleep 24. Two adjacent cabins for the price of one!! Here’s your chance to own an unique property! 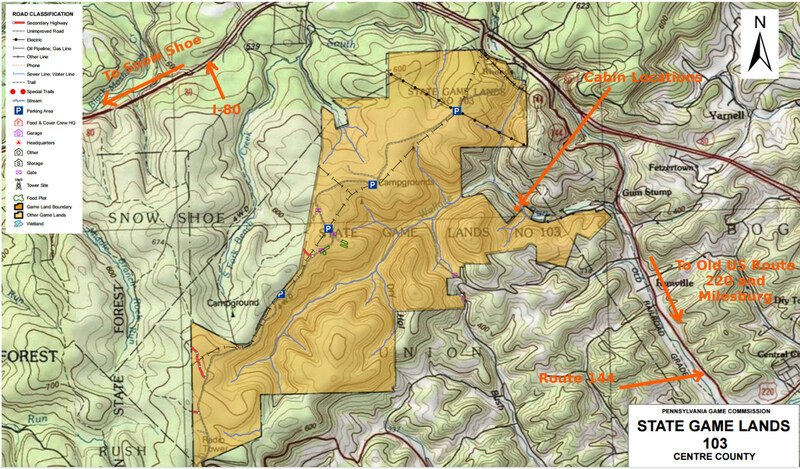 Just minutes from Route 144 between Milesburg and Snow Shoe, this property joins 9,000 acres of State Gameland 103. One cabin with running water, second with hand well pump. Off the grid, but electricity run through a generator to both cabins. Running hot water for showering. Gas backup heat & lights. 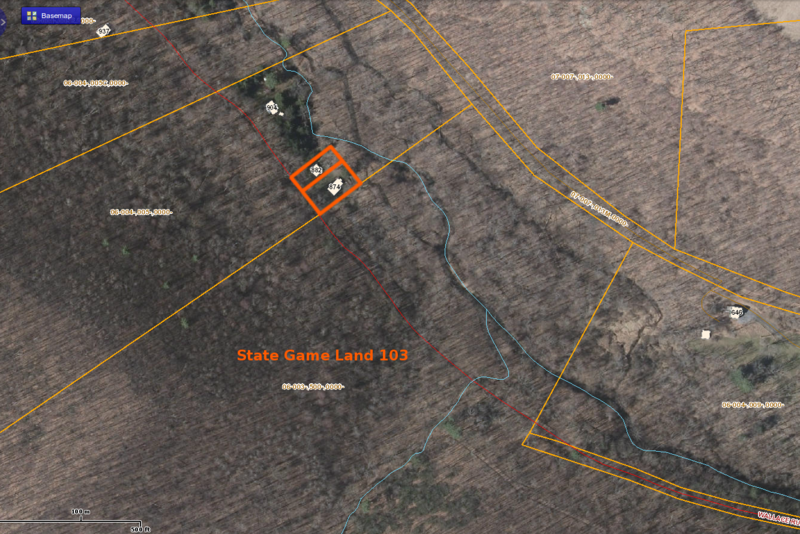 Great opportunity for a large family or hunting club!